There are 1 cat videos tagged with corn. This hilarious cat is a big lover of people food and takes advantage of a dad willing to share. 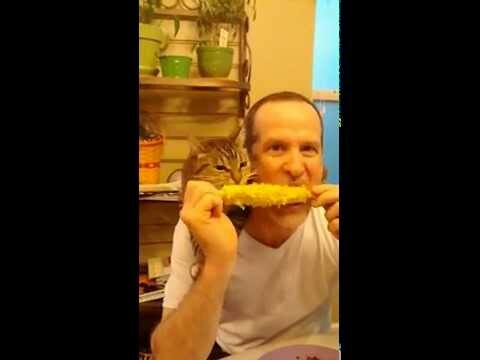 He stands with two paws on his owner's shoulders and eats corn right off the cob.